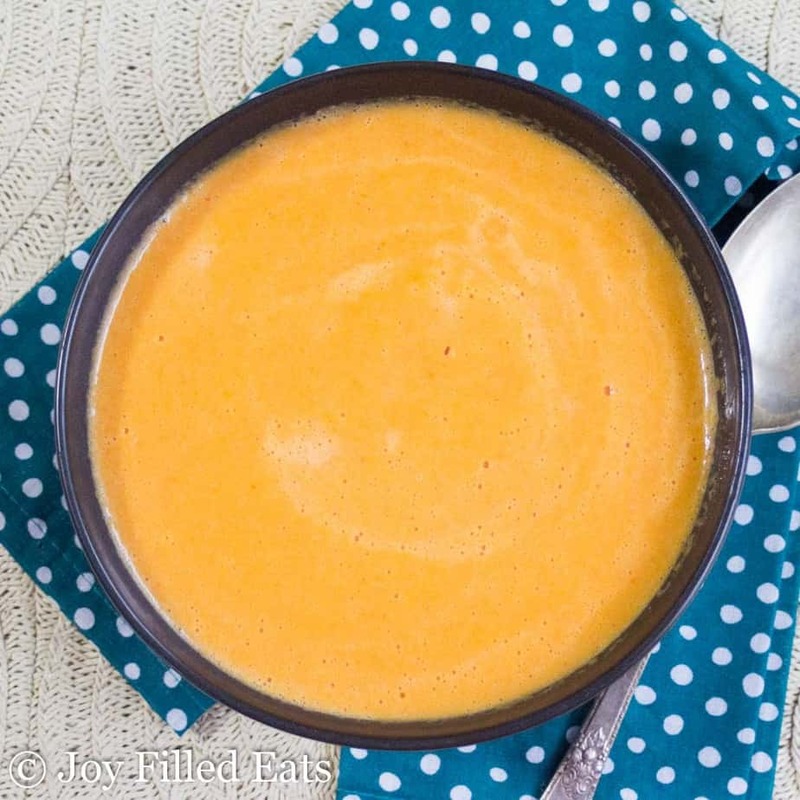 This Roasted Red Pepper Soup is so much better than the store bought carton varieties. With only a handful of ingredients, it is as easy as roasting some veggies and using a blender. I love the color of this soup. I used a couple huge red peppers and then some yellow and orange mini sweet peppers as well. If you use all red peppers the color will be darker. My trick to increasing the nutrients in this soup is to use Vital Proteins Chicken Bone Broth Collagen. 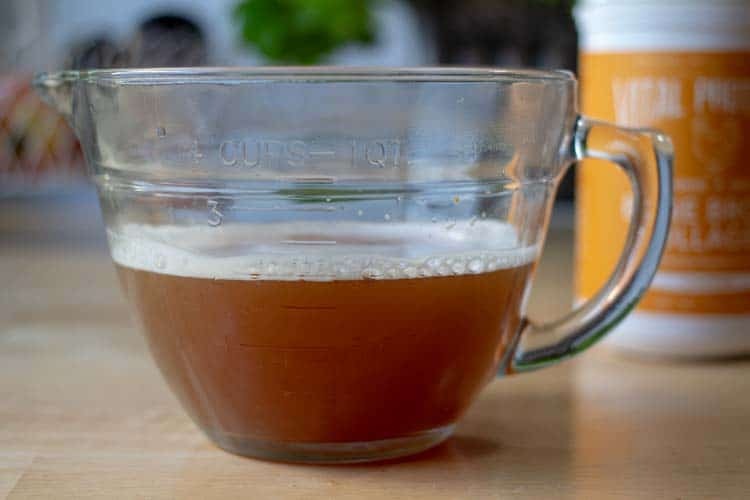 I’ve made bone broth from scratch in the past but it can be time-consuming. It is much, much easier to just add a couple scoops of Organic Chicken Bone Broth Powder right into my soup. Adding collagen into this roasted red pepper soup can turn it from a side into a meal. 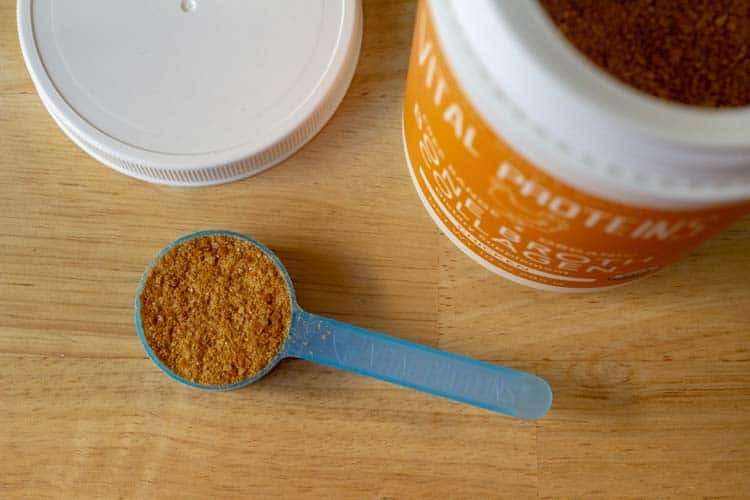 The protein in the collagen will help you feel full until the next meal time rolls around. I enjoy this roasted red pepper soup with a salad on the side. 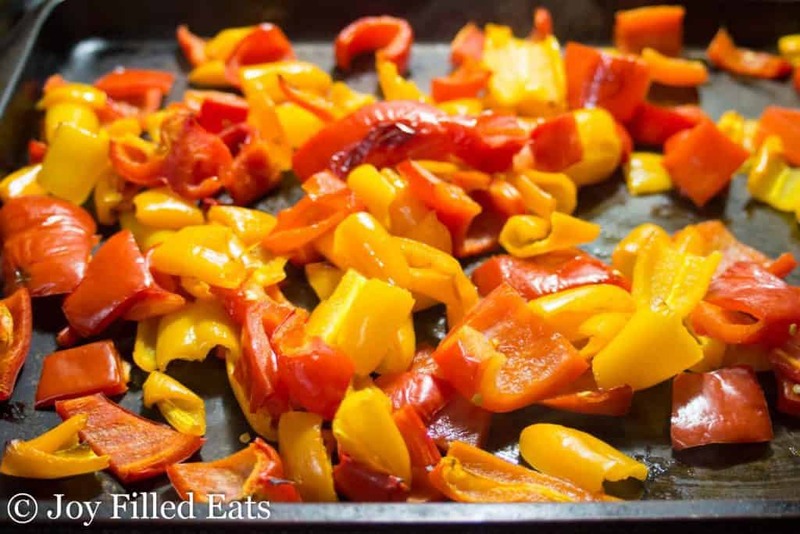 For a more intense flavor, you can roast the peppers longer and char the skin under the broiler. I just roasted these until they softened. Don’t worry about the skin either. You won’t even know it’s there after you puree this. This is a great way to use up peppers if they are past their prime. 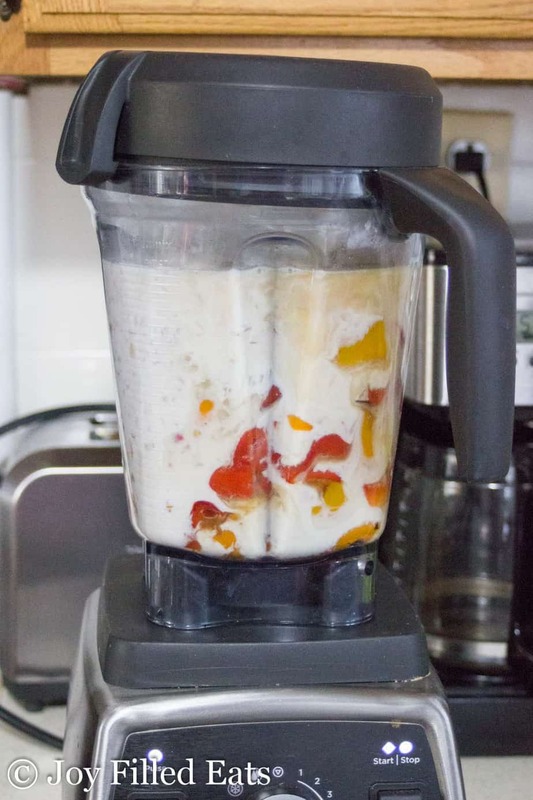 No one will notice slightly wrinkly peppers in a pureed soup. Once the peppers are done you just need to blend them with the other ingredients. Easy peasy. I just dissolve my Vital Proteins Chicken Bone Broth Collagen in the hot broth and proceed with the recipe. 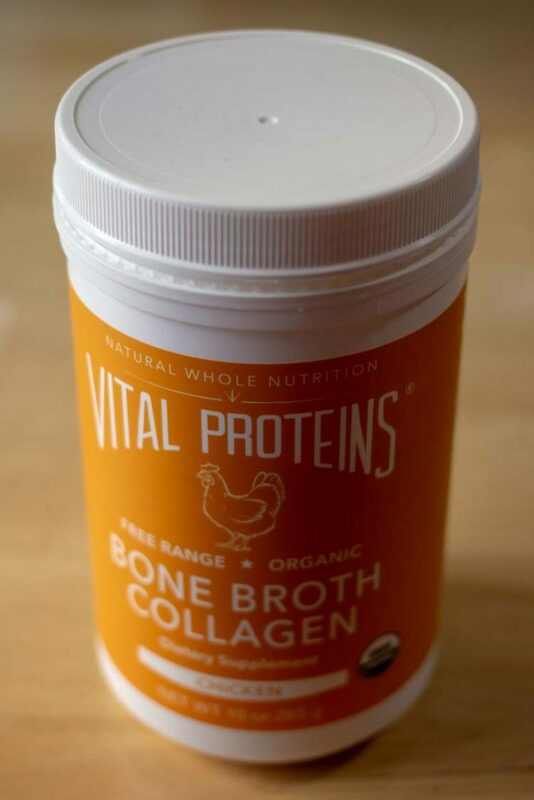 The bone broth collagen has a very mild flavor. It works well to add to any soups, sauces, or savory beverages. 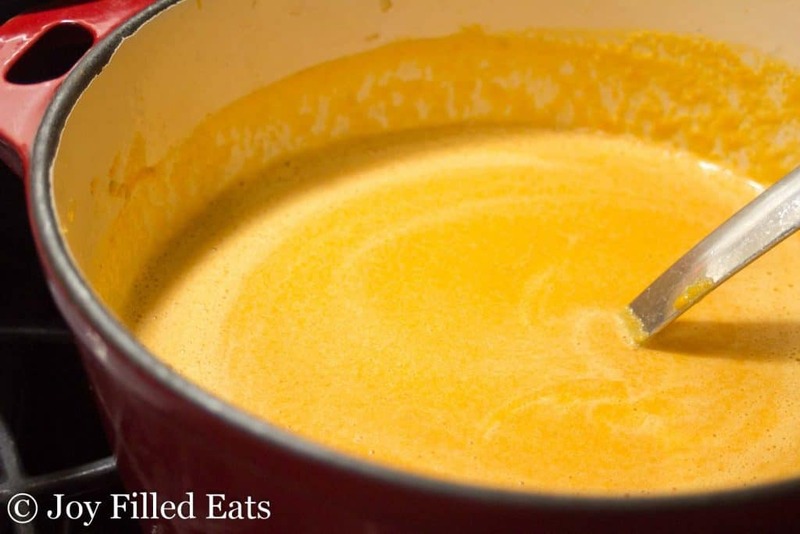 I love having soup for lunch, especially in the fall and winter, and just adding in a single scoop really boosts the nutrition. You can even add it into store-bought or previously made homemade soup. 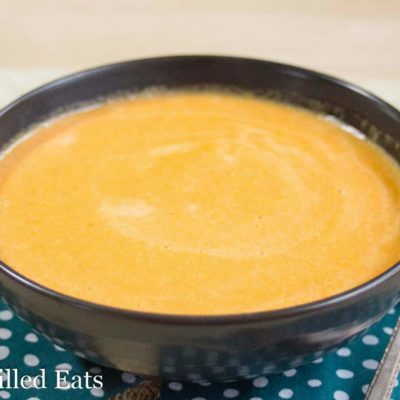 I hope you enjoy this Roasted Red Pepper Soup! 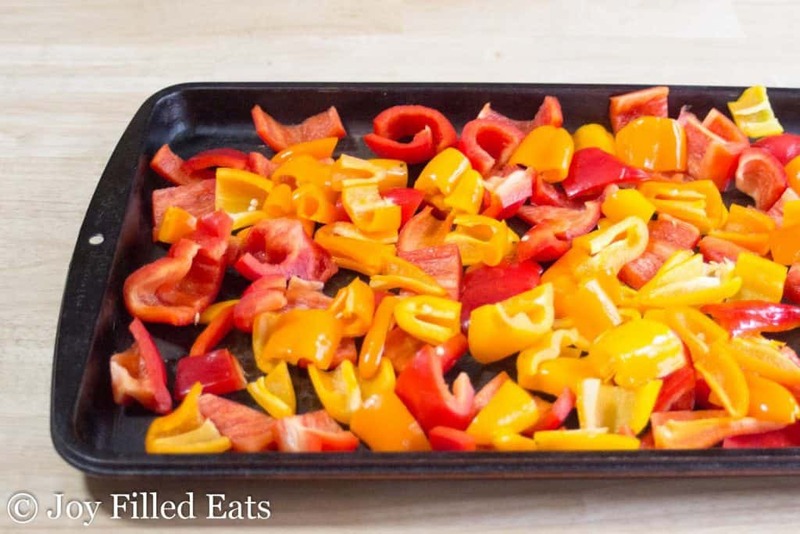 Put the sweet peppers on a large baking sheet. Roast at 400 degrees for 30 minutes or until softened and slightly browned. Meanwhile, add the cauliflower and broth to a large stock pot. Simmer over medium until the peppers are done. Stir in the bone broth collagen. Add the peppers, cauliflower, half the broth, and the remaining ingredients to a blender. Process until smooth. Add back to the pot and heat until hot. If you would like to reduce the fat you can use half and half instead of cream. Wow....best roasted pepper soup I ever tasted!! This will become a regular for me! Love this idea! I can see serving this with a few shrimp laid on top (OHHH! I could roast them at the same time as the peppers!) I also love the idea of a little basil chiffonade on top, or even a little bit of thinly sliced scallions. Ginger would be a good choice, too. Love the idea of customizing this soup, but when I make it this week, it will be exactly as directed so I can enjoy it in its original form first :>) Thanks for the great recipe. Mmm...This roasted red-pepper soup is just as delicious as it looks. The great part? It's quick and easy to make! 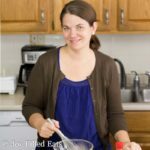 My husband and I loved this soup! I'm bookmarking this recipe to make again and again. Such wonderful flavors and the soup comes together so quickly. My husband LOVE soup. So I'm always looking for new recipes to make for him. He LOVED this recipe! He actually asked me to make it again before he finished eating. This is a keeper for sure!! This sounds great. If I use all red peppers do you think I need the sweetener? You can taste it and then decide. I like it without it but it does help bring out the sweetness of the peppers. 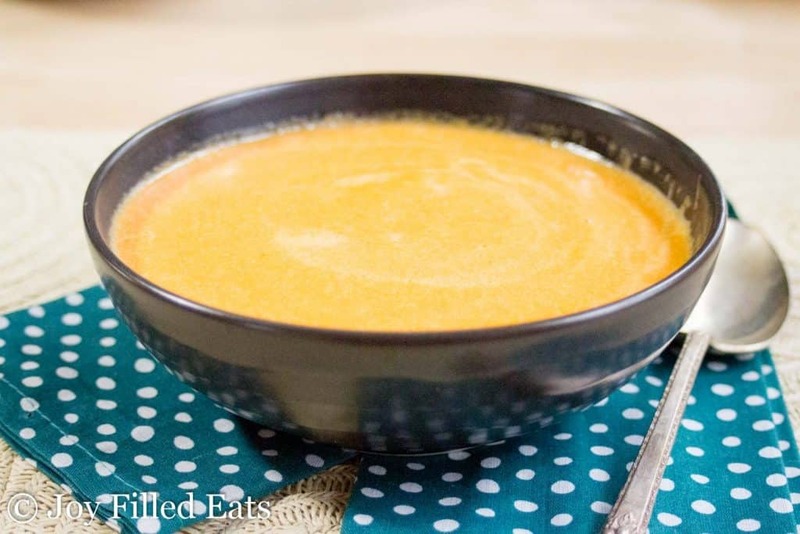 When I do red pepper soup or tomato soup I add a tsp of baking soda which cuts the acidity and makes it sweeter than if you used sugar and its healthier. Do you discard the other half of the broth or mix it in at the end? Sounds delicious ? Mix it in. It's left in the pot during blending so when you add the puree back to the pot to the warm it gets mixed in.